Changing my Twitter profile pic for the first time EVER, thanks to Smashbox ( more on the blog next week!) / reviewing this baby on Frillseeker / falling in love with Cartier's Baiser Volé scent / feasting at L'Ecrivain, thanks to this great new restaurant site with fabulous deals and more / glowing after a superior facial at Nuala Woulfe's Serenity Spa / emotional at Wicked (would highly recommend) / quoted in Stellar on the importance of cheerleading your pals/ charmed by Made in Chelsea's Binky / digging the Rita Ora range for Rimmel. And you? Most of these pics are taken from my Instagram - follow me for more and leave your handle in the comments, so I can follow back! oooh, loving the nail polishes! Your twitter pic looks gorgeous Emma! 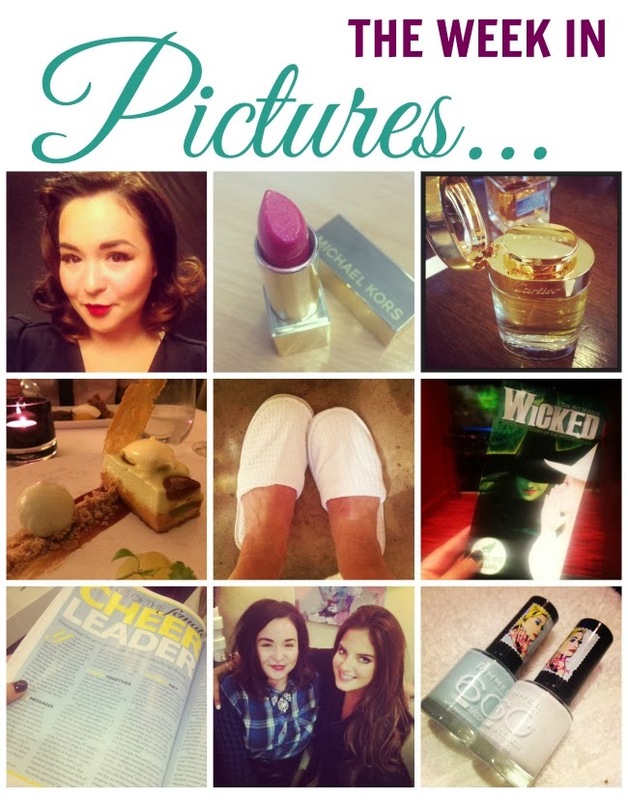 Love your week in pictures posts! Although they leave me well jel. Emma, you look doll-tastic in that pic. So pretty!Can't wait to hear more about Smashbox. Looks like an exciting week Emma! I loved Wicked too, got a bit teary at the end!